Most weapon and shield upgrades require that a combination of Embers and Materials are given to a specific Blacksmith. For a detailed reinforcement scaling breakdown go here. 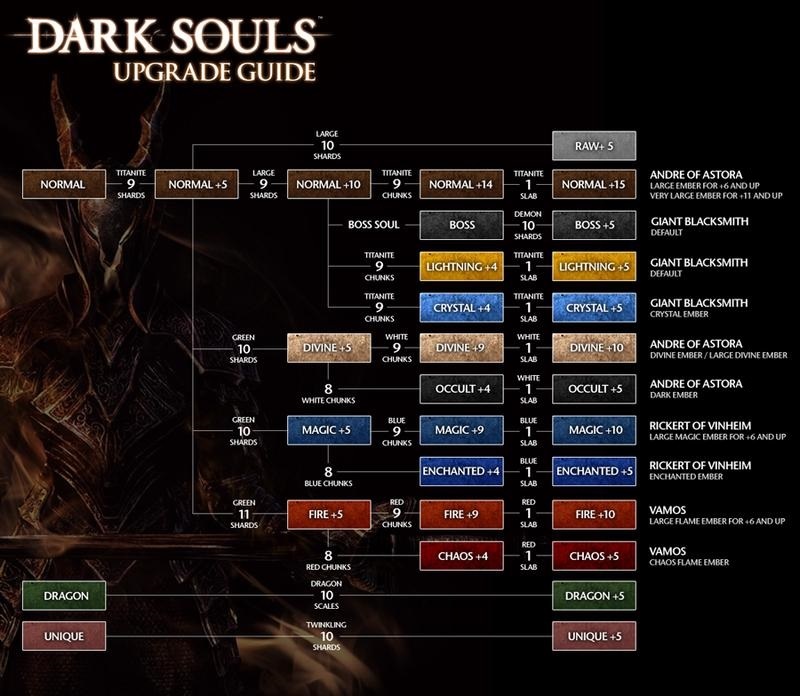 For strategies to farm specific upgrade materials go here.